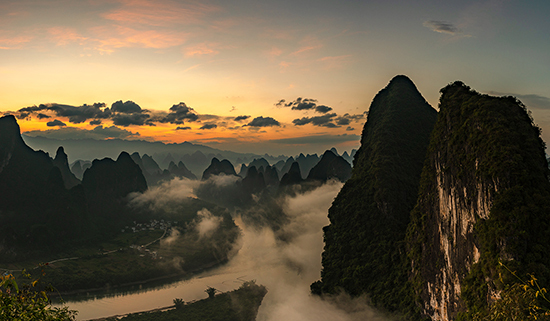 Guilin photo tours offer high quality photography tours and workshops in Guilin, Yangshuo and Longji Terraced Fields for photographer groups and individuals. Whether it is to capture the sunrise over hundreds of karst mountains, or to shoot the cormorant fishermen gas lamp portraits in blue hour, and catch the sunray shines on terraced fields, you could be sure we will put all our efforts into helping you get a series of portfolio shots. Feel free to check out our photo tours or tailor-make a private photography tour. All our guides are experienced photographers, Canon guys and Nikon guys. They guide photo tours almost 200 days each year, and got many excellence reviews from photo lovers and pros. Some photographers from US, Singapore and Germany did the photo tours twice or three times with us. We understand how important the photo tour for you, we value every moment and try to help you get a portfolio shot. 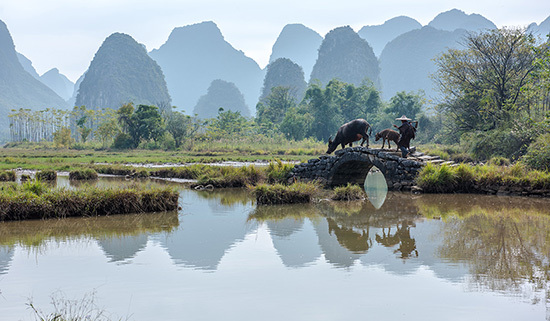 We are a team of most experienced photo experts in Guilin and around, we know Guilin better and have better relationship with local people than foreigner photographers of course. However, we charge almost half of foreign photography angencies, we put more photogenic sessions into a day itinerary that's possibly the 2 day's activities for normal tours. 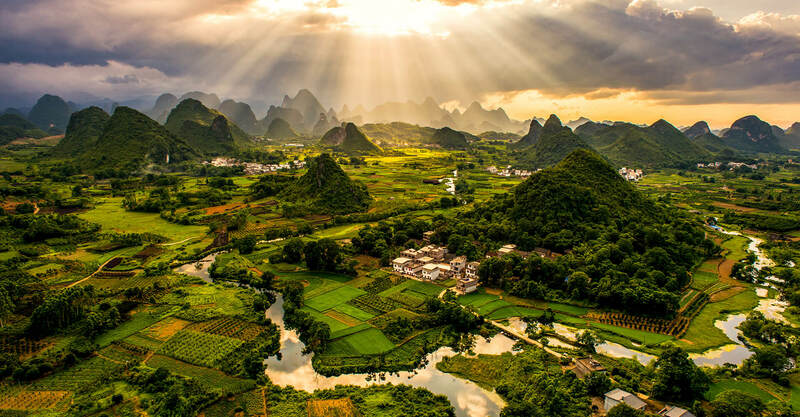 We suggest you to spend 3-6 days for capturing the highlights of Guilin, but if you don't have much time here or traveling with family, the following short photo tours would be fit for you. Our day tours would start at 4am and finish at 10pm, we are making sure that you can home with the great shots at right timing. Just enjoy the shooting and the breathtaking views that we brought you to. Capture the cormorant fishermen at sunrise, farmers crossing the bridge with his buffalos and sunset down to paradise. 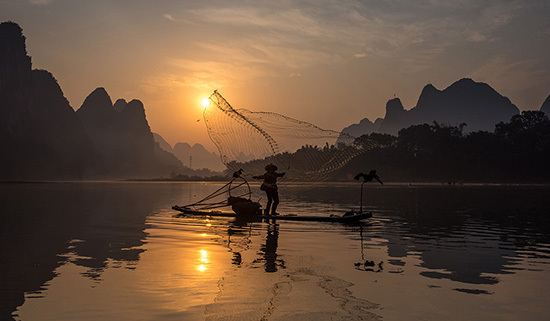 This tour is for most photographers that don't have much time in Guilin, covering the tribal village, mountain sunrise and cormorant fishermen. Focus on minority villages with rice terraces, and most photogenic cormorant fishermen both at sunrise and sunset. Get the portfolio shots with sunray or sea of clouds over terraced fields, and landscapes sunrise and sunset with cormorant fishermen. 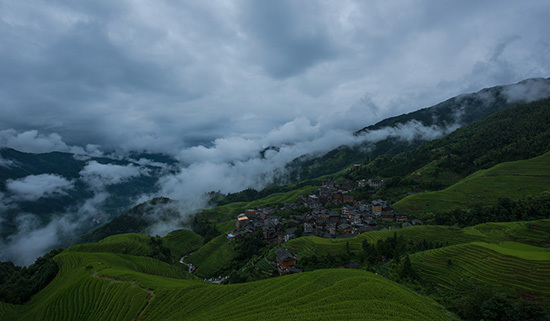 We are the photography specialists in Guilin, designing and guiding photography tours and workshops in Guilin, Yangshuo, Longji Rice Terraces and around. We guided many world famous photographers: Sarah Wouters - won the prize of Dubai Hipa photo contest and many other international contest; Doron Horowitz — the top photographer in Israel; Kimatrai — from 20th Century Fox Film Corporation, and many more.